To make shopping more fun, use mobile apps. What kind? The most convenient and useful – in this article. The smartphone in the hands of the buyer is the sales consultant, the discount expert, and the friend who tells whether the thing suits you. Provided that the right apps are installed. Today we will talk about applications that will help keep abreast of new products and find the right products at competitive prices. We cannot fail to mention such a giant of online shopping like Amazon. If you haven’t joined yet the number of users of the world’s largest trading platform, do it now. Buy products from around the world with a few touches! Today, Amazon is one of the largest trading platforms in the world. Originally created as a bookstore, it quickly turned into a giant “megastore”, where you can buy any goods – from clothes for children and household appliances to jewelry and electric vehicles. Users of the application can make purchases on any website of the company through a single interface. Alexa virtual assistant will help you manage your application through voice commands: find products, track orders, and reorganize your favorite categories. Just click on the microphone icon in the main menu and give a voice command. In just one touch you can place an order, use the support service, a list of favorites, track the location of the order and much more. The system of scanning images and barcodes will allow you to compare prices and check the availability of goods in the store. The application allows you to share links to products via e-mail, SMS, as well as social networks Facebook, Twitter. Be aware of the location of your product and buy with confidence as all your transactions will be securely processed. The application requires a number of permissions for normal operation. It needs access to contacts (sending gift cards and inviting friends), camera (barcode scanning), SMS (allows you to simplify the process of checking the phone number when creating an account) and GPS data (to simplify delivery). Etsy is an application for searching and buying unique and vintage things made by hands. The program will help the user to get acquainted with a wide range of handmade goods all over the world. Choose from selected collections “for her” or “for him”, products for the holidays, weddings, jewelry of unprecedented beauty. Recommendations from experts will help you understand the products offered, determine the choice of clothes or furniture to buy a product to your liking. There are more than 29 million people in the community who actually received the desired rare items at reasonable prices. An exciting journey through the world of Etsy awaits you. Save your favorite items to favorites so that you can easily find them later. Receive notification at the moment when orders are sent or discuss the order directly with the seller, ask all your questions. Check out the recommendations made especially for you. Choose a convenient payment option. Receive notifications about upcoming sales in stores of favorite sellers. The application is available in English, French, German, as well as Dutch, Spanish and Japanese. If you sell handicrafts, the program will help you in promoting goods. The interface is equipped with the necessary tools to manage the store: processing orders, adding new products and viewing statistics. If you have any problems, you need to contact support at etsy.com. Download the official GearBest app and get the best products across 1, 000+ exciting categories. Choose from an extensive range of items that are updated daily! Use GearBest to buy clothing, bags, shoes, toys, watches, jewelry, home gadgets, electronics, phones & more; as well as amazing deals from top brands like Xiaomi, Huawei, DJI, Oneplus, Lenovo, etc. Here is a huge selection of products. Get the best shopping experience. 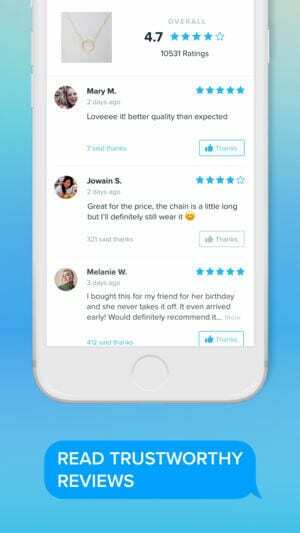 Use the application to search for stores by category, get the best prices, use the convenient search, read customer reviews, create a list of favorites, share selected items with friends on social networks, and participate in large sales. Shop safely. There is a 45-day money back guarantee, as well as a one-year warranty, and there is a delivery from warehouses in China, the USA, and the European Union. ASOS – perhaps the most famous online clothing store in the world. The Times calls it “the undisputed leader of online fashion,” and Esquire magazine – “a brand beyond the economic crisis”. The store’s website contains more than 850 brands of clothing, cosmetics, and accessories, in addition – many products from the retailer’s own collections. The ASOS website isn’t just an online store. This is an Internet show, a trendy edition, and a lifestyle guide for the entire generation Y. You can find clothes for all seasons, cosmetics, shoes and accessories in one place. You can buy clothes for the whole family – there are women and men. The second thing you should pay attention to is the ease of use, an intuitive interface. If you are looking for something specific, you can adjust filters that will help you choose the models of interest. Otherwise, you can simply drown in the number and variety. Filters are by brand, product, color, size, collections, price, and some features (for example, sleeve length). If you see the model you like on the list, you can click on the quick access or view it fully. The second option is more convenient, as it allows you to see at once the full description, photo, video, discount, recommendations for washing. Below, there are similar product options and offers to buy the image as a whole. Buying a Look is a great idea since you already like the combination of clothes and colors, it’s clear how to wear models. This allows you to save time on search and be satisfied. Below, there are the items that you recently watched. You can return to them at any time or add to Favorites by clicking on a heart. The store has things for every taste. If you are interested in more original or vintage clothing, visit the marketplace section. There, novice designers and handmakers can post and sell their stuff. You can support any member by shopping. If you think that fashionable things can only be bought in Europe, then you have not visited Zalora yet. This is an online store of stylish clothes from Southeast Asia. Zalora is still a young, but an ambitious company. It has long-term plans for the future and promising achievements. The peculiarity of this trendy online service in the locality of its stores. Instead of one trading platform, several regional online stores were created that are tied to a specific country. This is due to the peculiarity of the market in this region. Zalora sells online fashion and beauty, and it can be seen in every detail. Stylish things, high-quality materials, fashion accessories and much more await their buyer. You can choose products not only by size, color and price of goods, but also by brand. There are a lot of them here: from the world famous Mango, Ray Ban and River Island to not very popular, but also the quality brands of Asia – BLANC NOIR, ChillTee, HK-ehunter and many others. If you’ve watched a thing, but you don’t decide to buy it, you can add it to your wishlist and purchase it a little later, or wait for a better price. You will receive not only news about the world trends of the fashion industry, but also you can learn a lot of interesting information, read reviews about various brands and their products, useful shopping tips and much more. 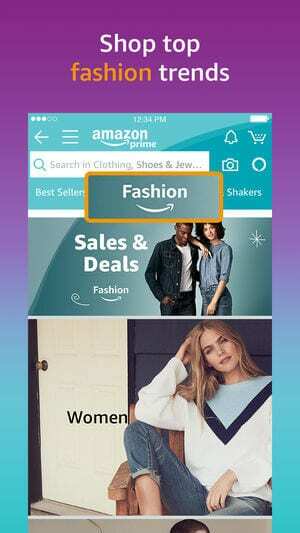 Everything in one app – Zalora Fashion Shopping. DHGate is a large online shopping platform where over 1 million Chinese sellers offer customers a wide choice of more than 30 million products, including low-cost tablets, smartphones, other digital equipment; men’s and women’s clothing (including travel and sports); goods for kids; lighting devices and even electric scooters. The product range is updated daily, so you can regularly visit DHGate and browse new products. As it has become traditional for Chinese online stores, this store offers low prices and the opportunity to make bulk purchases. buyer protection system will prevent fraud on the part of the seller and will ensure against receipt of defective goods. for wholesale customers, as a reward, there are special programs. Wholesale customers can get a special VIP-status on the site in order to have access to sales, exclusive discounts and additional services. Anyone who has already purchased goods on Chinese marketplaces can easily get used to DHGate. Convenient interface, quick ordering, and various payment methods will help you quickly and easily select the necessary products and arrange delivery in the most convenient way for you. Discover new fashion and interior trends on the most favorable terms! At home on the couch or on a trip with friends – with the bonprix app, you can shop anytime. The online store of clothing, accessories and household goods bonprix is an online shop of the famous German brand bonprix, where a large assortment includes women’s, men’s and children’s clothing and shoes, accessories and underwear, as well as household goods. There is convenient section navigation in the bonprix online catalog, with the help of which you can always quickly find the products you are interested in. The sections “For Women“, “For Men” and “For Children” present the corresponding collections of clothing, footwear, accessories, underwear, as well as swimwear and beachwear. In the “Home” section you can order curtains, home textiles, decor and useful things for home and interior. Each category has built-in filters that allow you to easily sort products by size, color, and other features, or set price. Use the bonprix product sorting to quickly find, for example, the dress of your dreams. The bonprix team is trying to do everything so that online shopping in the bonprix online store is convenient and enjoyable! Install the app, register, and get access to the entire range. Activate push-notifications, and get information about discounts and interesting promotions! Find your favorite models even faster. Use the voice search function: just say out loud a keyword or item number. Want to try? SHEIN is an affordable online shopping platform. Incredibly rich assortment include women’s, men’s, children’s clothing, shoes, and accessories. Especially varied selection of women’s clothing: dresses, blouses, swimsuits, tops, pants, skirts, pajamas and much more. Together with SHEIN, you will find fashionable goods for every taste. Shopping becomes more convenient and enjoyable with the new shopping app. Welcome to the incredible world of fashion SHEIN, always available at hand. All buyers have the opportunity to share with all their experience and add photos of their order on the site. In addition, there is a program for bloggers. They get clothes for free to present on their Blog or on other Internet networks. Invite your friends! If you have attracted 5 buyers, you will receive a 50% discount. SHEIN is becoming more and more popular every day, especially due to the blog program, a large assortment and good customer service. YOOX – the leading online store of fashion and design – is now in your smartphone, thanks to a new application that guarantees pleasant personalized shopping and simple navigation. The creators of the Yoox.com store pursued the idea to implement a project of a successful multi-brand online hypermarket that will specialize in selling stock products from the most famous global manufacturers and brands. In addition to clothing, the YOOX service offers a good selection of shoes, accessories, jewelry, bags, design and interior elements, books, and even accessories for animals. This is not just an ordinary online shop of fashionable clothes, shoes and accessories. It is based on a great idea. Create your personal account and get instant updates on YOOX updates and promotions. The main difference between YOOX and most discount stores is that it’s not the old collections that are sold here, but the current new ones, but these items go on sale at the time when the next new collection is expected. The online store YOOX provides the opportunity to buy clothes and accessories of the leading fashion designers of the world for little money. 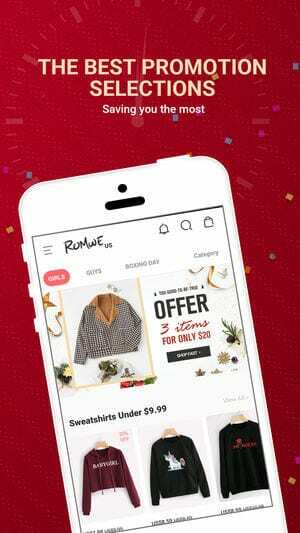 Romwe is an online store of women’s clothing, shoes, and accessories, founded in 2009. The store presents things from Chinese manufacturers, as well as its own brand Romwe. The concept of an online store is displayed in three words: “high-street fashion”. The collections presented in the online store are a reflection of the latest fashion trends and are adapted for everyday use. Democratic prices are pushing to make fashionable purchases. Romwe.com doesn’t claim exclusive quality, but not every store offers original coats – just like a Hollywood star for more than 50 dollars per unit. Free shipping of all international orders from $ 50 (Standard Shipping). Delivery time – up to 4 weeks. Every season, fashion gurus from Romwe.com develop prints for sweatshirts, creative jewelry, and experiment with styles of dresses. Daring fashion trends are embodied in a moderately bright casual by the team of experienced stylists. Thanks to the company’s policy, things from Romwe are unique in their own way. This makes the store particularly attractive to the audience of “innovators”, especially young people, focusing on the uniqueness of each detail of their image. 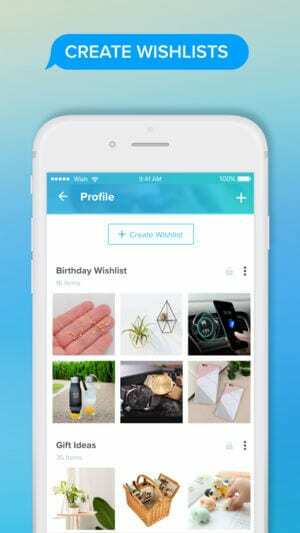 Wish is an online platform that allows you to purchase products from Chinese manufacturers at factory prices. When you install an application, first of all, you are offered a bunch of product categories that you are interested in and which the application will offer you first. There is everything your heart desires: from small trinkets to technology. The application keeps track of your requests and your viewed products and offers every time something that might interest you. When you open a product you like, there are usually a lot of photos of it, a description, a choice of colors. You can always go to the reviews and read them, they are with photos and even video. The item you ordered is tracked, but usually only until it leaves China. Also, the date of the order and the approximate date of delivery are indicated. You can contact the support team at any time and ask questions that interest you. Wish is an original, exciting way to shop, it allows you to find truly amazing things at really great prices. Farfetch is a British online store for women’s designer clothes, shoes, and accessories. Being a trading platform for a huge number of boutiques around the world, the store has collected outfits from the famous fashion houses of Paris, Milan, New York, London, and Helsinki. Buying Valentino, Moncler, Dolce & Gabbana, Puma, Baldan, Burberry, Moschino, and many others thanks to the site has become easier. Making an order is very simple: just select your favorite model and pay for it in any way possible. After payment, Farfetch will pick up the product from the boutique you have chosen and deliver it to the address provided. All products are exclusively original. You can not be afraid to run into a fake. The site is convenient, the interface is clear, everything is colorful. Super loyal and polite support! Farfetch opens up new opportunities for true connoisseurs of fashion and makes finding and buying things from famous brands an easy and exciting experience! 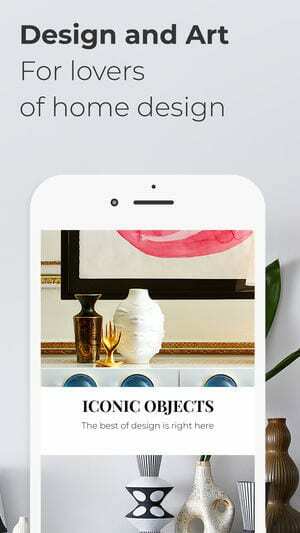 eBay – a mobile client of the most popular trading platform in the world – all eBay is in your pocket. Where can I buy anything: from the car to the nose piercing, from hair dye of exotic color to a giant picture for the living room? Where to find the most appropriate prices? Where are the most crowded auctions for popular products? Of course, on eBay! Those who have already been able to evaluate the convenience of shopping from this site will surely be very happy with a mobile application that will help you search for goods and make purchases anywhere and at any time. For those who are not familiar with this trading platform, this application is an excellent opportunity to get acquainted! eBay often provides bonuses for newly registered customers, suddenly right now you are lucky. Find thousands of products among hundreds of categories, add them to your favorites, so as not to lose. Use the search parameters. Pick up clothes and cosmetics, gadgets and accessories, household goods and car parts. 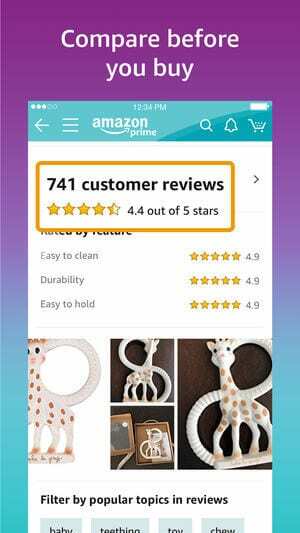 And to make sure that the product is of high quality, you can read the reviews of the same customers as you. Read reviews, see real photos taken by buyers. And don’t forget to leave feedback on your purchases: what if they, too, will help someone a lot. Participate in sales and auctions, get coupons and spend them on partial or full repayment of the cost of the goods you like. Also, the application can send notifications about everything that you consider important. Notifications will help you not to miss the sale, remind you that the auction will start soon, they will tell you where the goods you ordered are located. Track your packages, ask questions about the product to the seller and buy at the best price. Club Factory is an app from India that allows you to update your online shopping experience, minimizing the cost. How? Offering virtually factory prices on virtually any items that are available in the huge base of Club Factory. Plus, you can make purchases from anywhere, and your address doesn’t have to be in India. Simply select a country and start browsing the huge catalog of products with factory prices. Oriented to simplicity, the application contains tabs with each category of goods, so finding the right item is really easy. If you still can not find the right, then you can use the search system – it will help you find the specific product that you want to buy. A description of each product is given in detail with a list of materials and information about the manufacturer so that you will know exactly what you are buying. Plus, you can see the comments of other users to learn about their personal experience of using the product at first hand. The best feature of this tool is that it provides not only prices close to factory prices but also compares them with prices in other popular online stores. Club Factory offers the most fashionable products at incredibly low prices, at which they are sold directly from the factory. 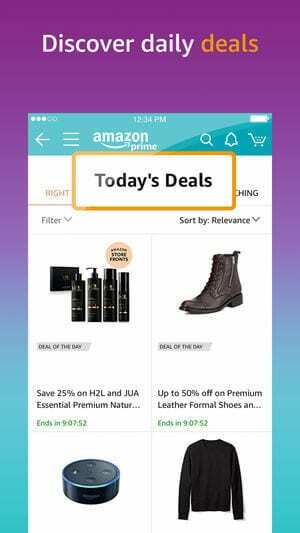 Save money by shopping from the huge catalog in this app at unbelievably low prices. The popular online retailer of modern models Shopbop offers a multi-faceted, carefully selected collection of clothing and accessories from leading modern and designer brands. Brands in the application are arranged alphabetically, you can search for them, as in the phone book. Looking through the catalog, you can add the item to your favorites in order to return to it later. Here, under the thing, the application offers what it can be worn with. If you want to wait for discounts, the item can be added to the wish list. Well, and the order can be placed in two clicks. Provided that the payment and delivery columns are already filled. In addition to renowned customer service, Shopbop provides unparalleled wardrobe recommendations, the latest catalogs, innovative features and exclusive products created in collaboration with leading brands. The result of this work is customer-friendly, enjoyable – and most importantly – enjoyable shopping focused on women around the world keeping up with fashion trends. Gilt is a large American sales store. It sells brand items with significant discounts – past collections, overstock. Mostly it offers clothes and shoes, there are also accessories, jewels, watches. There is a section for the home – decor, textiles, dishes and more. The choice and prices are meaningless to describe, the assortment is constantly changing. Brands are from democratic to pathetic, prices, respectively, too. Sales last for several days, but all interesting things are bought up very quickly, you need to follow and keep up – you can set notifications or install the application on your phone. Gilt doesn’t accept returns for international orders. The difference between Gilt and regular stores is the need to register, award points, various bonuses of the Gilt Insider program. All this is intended to create an atmosphere of clubbiness, secrecy, exclusivity. Buy everything you need in one application! Millions of products from thousands of world brands, great prices, and easy navigation – all this is now in your pocket. The largest marketplace for the purchase of goods from China directly on your smartphone. You can start using the application immediately after installation – you don’t need to enter authorization data for this. Start searching the catalogs, read the descriptions of goods and buy the one you like. “Search history” allows you to quickly go to the previously seen goods. Right from the main menu of the application, you can go to the category of popular goods, to the menu of discounts, coupons and group purchases. Products displayed as a result of the search can be viewed as a list or icons of different sizes, sorted by a maximum match to the request, a number of orders, price, seller rating and the date. Also in the application, there is a function of filtering by category, setting the price range, the choice of stock items with free shipping. After the product has been selected, you can read its description and reviews, view the photo and add it to the cart or favorites. On the tab “description” there is detailed information about the product and delivery details. To add products to the cart and make purchases you need to register (available directly through the client). When the shopping cart is full, you can proceed to checkout. To do this, you must specify the delivery address (next time is filled automatically), the method, the number of specified goods and coupons, if any. Next, you need to make a payment through a bank card, after which you can track the status of the mailing. Wide customization of notifications will help to be aware of price changes in sections of interest, various sales, updates in this category, as well as allow you to track the status of the order. There are a lot of applications for shopping. The list can be continued. Nevertheless, we hope that the presented list will help you to become a real expert and purchase quality items at reasonable prices.